The trickiest part is that only some filter tanks can use all three of these forms. It depends on certain factors i.e. model, year, or specific type. For example the Pentair Tagelus uses all three. A filter’s backwash valve has three basic styles of fittings to attach it to the sand filter: Buttress Thread, V-Thread, and a Clamp. The most familiar of the screw on valve thread types is called the V-thread. Its profile shows a uniform zigzag pattern similar to a screw top. This thread type’s popularity is slowly losing ground to the buttress thread. The susceptibility of the V-shape becoming worn or stripped has hastened its decline in popularity. The buttress thread’s profile resembles that of a sawtooth. Its one sloped and one perpendicular side form a right triangle. Its popularity is growing with valve manufacturers who have been switching from the old V-thread. 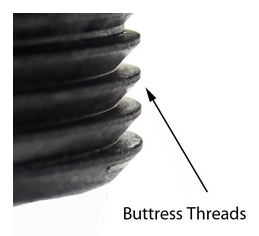 The buttress thread’s flat edge faces upwards when screwing it on the filter body and this is its advantage. The flat face of the thread allows for the pressure of the tank to be dispersed more efficiently across the thread. The dispersal makes for a locktight and sturdy installation. The buttress thread can be found in household items like pill bottles with springy child-safety tops. The most common valve type is the flanged or clamp style. These valves can be identified by the metal C-ring or two sided noryl clamp at the valve to tank joint. 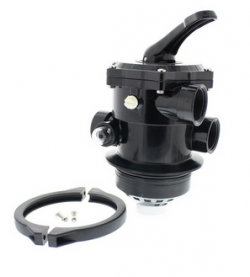 The simplicity and sturdiness of this valve design are what have made it the choice of manufacturers. The threaded valve designs depend upon noryl plastic threads that can become stripped easily with constant maintenance. The clamp styles removes the valves’ threads and allows the user to place the valve on the tank then secure it with a band clamp with only one to two bolts. Chris, I’m sorry we’re having trouble tracking down the right part but I am having a little issue understanding the part at the end. When I pull up the part listing for the Waterco Thermoplastic Top Mount Sand Filter, T-450 I only find the valve on the second order. Looking at the breakdown, I do not see a flange, or a clamp that fits this filter. fiber filter, but it does not show up in any of my search. Would you please help me on this? Probably not. 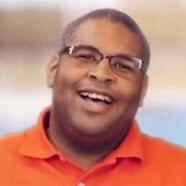 But to be sure, what is the make and model of the pool filter and the valve you purchased?